Last week just seemed endless. I ended up working long hours and spending way too much time online. By Friday night, I wanted a break . . . and so I took one. I unplugged from the Internet for the weekend (computer, phone, and iPad). I thought this would be difficult, but it wasn't. It felt great! During my time offline, I went yard saling, had lunch with a friend, re-read Positively 4th Street (David Hajdu), spent time reading The Supreme Macaroni Company (Adriana Trigiani), watched a great old movie, Cactus Flower (Walter Matthau, Ingrid Bergman, Goldie Hawn), went antiquing with a friend, cooked, listened to music, watched an episode of Columbo, walked my dogs, wrote poetry, got up on a ladder to find a book of Pablo Neruda poetry, and generally enjoyed living the way I did 20 years or so ago . . . pre-Internet. I was eager to read emails and Facebook updates from friends this morning, so I missed the immediacy of keeping in touch. I also missed Google! I have a beautiful 1950's set of Childcraft encyclopedias here -- not quite the same thing, unless you want to read about the life cycle of bees. I wanted to share a few antiquing photos with you. 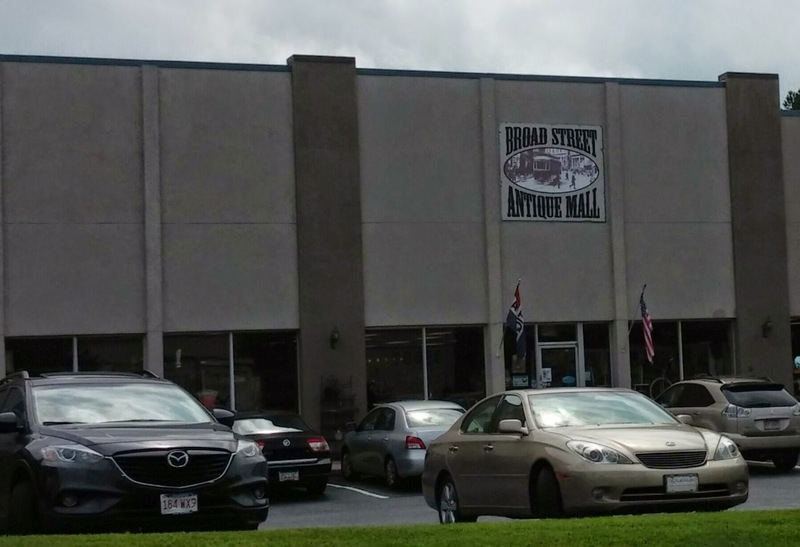 We went to Broad Street Antique Mall in Chamblee. This is my favorite antique shop in Atlanta. It is huge! 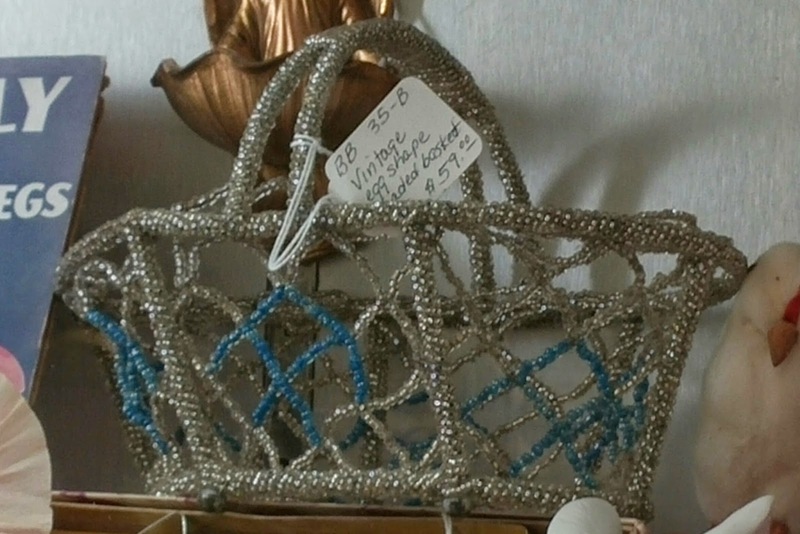 I love this hand beaded basket. It is just amazing! Look at all this fun vintage dollhouse furniture. The detailing on these is wonderful. They look like Renwal. 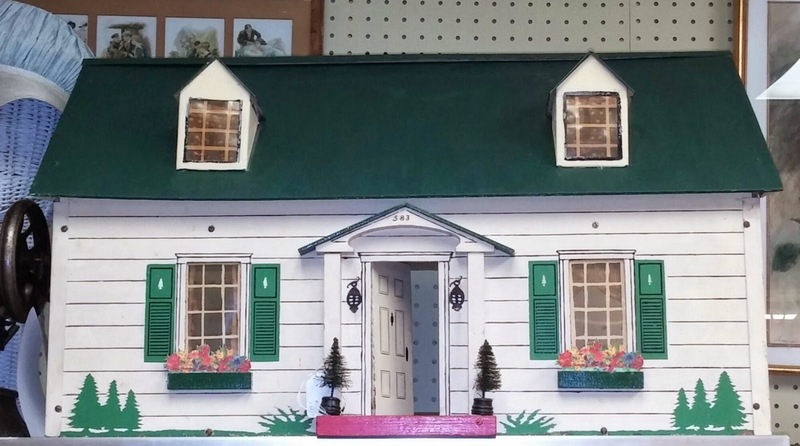 (Renwal dollhouse furniture has more detail than the more popular Marx, with little doors and drawers that open, etc.). Exactly my kind of Christmas tree! So pretty. This is a vintage tree, and I love the glass ornaments. This was my favorite item at the mall. It's an older wood/paste board dollhouse. I would date it as 1940's (pre-1950's, when dollhouses were tin litho). 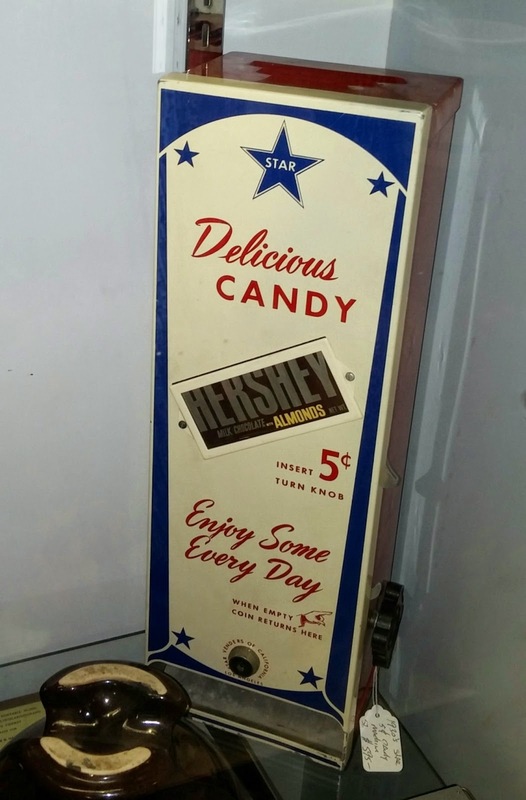 A 1940's Hershey bar dispenser! 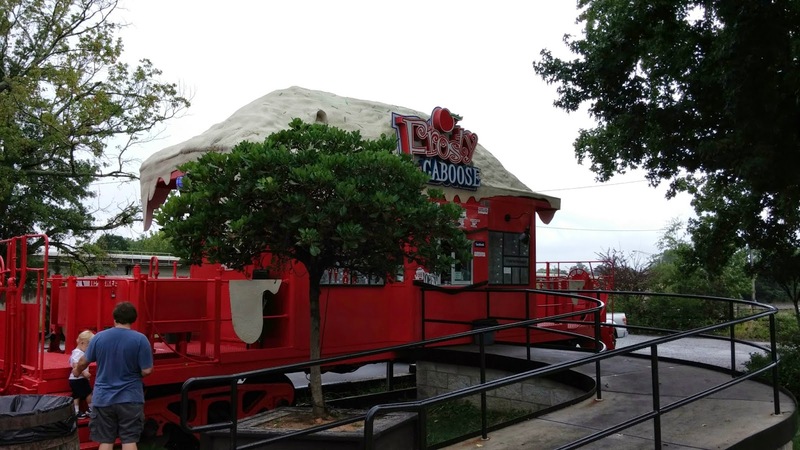 New to me -- Frosty Caboose, with icy treats. We had Raspberry Sorbet, and it was delicious! So ... how about you? Have you tried unplugging from the Internet? If so, what was your experience? I would love to hear from you in the comments section, below. Such a wise move, to take a break from the crush of the online world! It does my eyes, my back, and even my spirit good to unplug and chill out on a regular basis. I try to shut down fairly early most evenings, especially when my husband is home, but I'll admit to an occasional last-minute email or Facebook check most nights before bed - just in case there's something important. Know what? There rarely is. Thanks, Susan! I am going to try the same thing ... turning my computer off by dinner time (around 7 here) and maybe checking my phone or iPad once before bedtime. You are so right about the break it gives your eyes! I am prone to eye strain and need to be more mindful of this.